The value of a CRM system isn’t in the product or the features it offers. It’s how it’s used. A CRM (customer relationship management) system is only as good as the data it receives. Many organisations fail to integrate their website with their CRM. Never realising the benefits they could receive by doing so. Integrating two or more systems can bring a lot of added value to your organisations marketing outreach, time management and bottom line. We outline eight benefits of CRM website integration. Click to find out more about our website integration service. First off, we will determine what website integration is. Simply put, Website integration is the glue that holds disparate computer systems together. Interlinking your website with 3rd party systems. These 3rd party systems include CRM’s, accounts solutions, merchandising systems, business platforms, gateways, networks. Integration can be as simple as importing an excel spreadsheet of products or complex CRM solutions like Salesforce or Sage. So why link your website and CRM? Integrating your websites with your 3rd party platforms and applications has a number of benefits to your marketing including processes, automation, seamless management and better communications. Leading companies understand that they are in the customer experience business. They understand how an organization delivers to customers is as important as what it delivers. Marketers aim to put the customer at the centre of the business and focus on improving their experience. 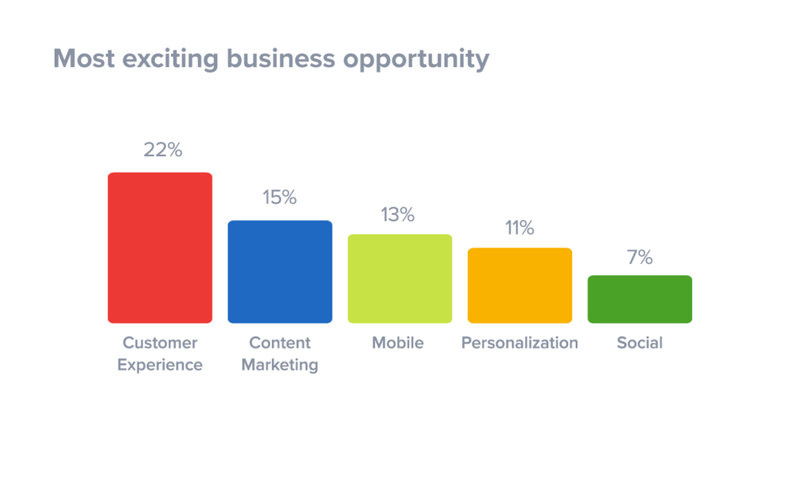 Econsultancy outlined customer experience as the single most exciting opportunity for 2018. If you are not fully supporting your customers at every stage as they research your products, compare prices, converse with customer service and work with your business then you run the risk of providing a poor experience and losing a significant percentage of them. Investing in technology to help you is perhaps the best business decision that you can ever make. Providing decent customer experience is fairly easy for a business that is just starting out, but as consumer interest grows and you find that you are dealing with more and more enquiries it can become difficult to keep up with the demand. Missing orders, forgotten phone calls and billing confusion can become all too commonplace. As your team grows you could end up in a position where it becomes difficult for your team to coordinate with each other, compromising the quality of service for all concerned. For the vast majority of businesses, integrated websites are essential to delivering the requisite experience levels. The largest hurdle to customer experience marketing is not knowing customers well enough to deliver relevant offers and personalized experiences. Gaining a complete, individual view of customers is key, and that means that your customer data cannot be in silos or lack data from social media or other channels. A key benefit of any CRM is the ability to profile customers or leads to determine what they might purchase, their lifetime value and much more. The more data you have on your customers, the easier it is to create a more complete profile. By integrating your website with your CRM, you will get a fuller, more complete picture of your customers’ interactions with your organisation, from initial enquiry to sales, communications and eventual feedback. It gives you access to more reliable and consistent information. You are better informed about your customers and you’ve better visibility of your customer’s behaviour and buying habits. Customer profiling goes a long way toward determining your marketing campaigns success. Whether you are targeting business or consumer prospects, to be able to effectively communicate with them you need to understand who they are. 68% of all people leave a business, because of ‘perceived indifference‘. This means 7 out of every 10 of your customers will leave you because they perceive you don’t care or they think you don’t care about them, or value their business. As a result of the improved customer experience outlined in part one. Customers are happy that their query is being dealt with quickly and by the right person. Other small touches such as the automatic sending of an acknowledgement of receipt or a thank you email, can again make the customer feel happy that their query is being dealt with. Ensuring you’re demonstrating your value and that you understand their wants and needs. CRM website integration can help you to track customer satisfaction. Supporting your efforts in nurturing customers. Pushing them along the loyalty ladder to a customer who loves your brand enough they repeatedly buy from you and share your business via word of mouth. HubSpot State of Inbound 2018 report details how 32% of sales reps spend over an hour on data entry every day. If your website and CRM are not integrated, then you’re probably wasting time on data entry. Either exporting it from the website and then importing into the CRM or worse yet, manually copying and pasting or worst of all, not capturing that data in your CRM at all. By opting for an automated integration between the two systems, you’re reducing your administration overhead as all that manual copy and paste, or export and import is removed. This leads to increased productivity as it frees up your marketing and sales staff to focus on other things. 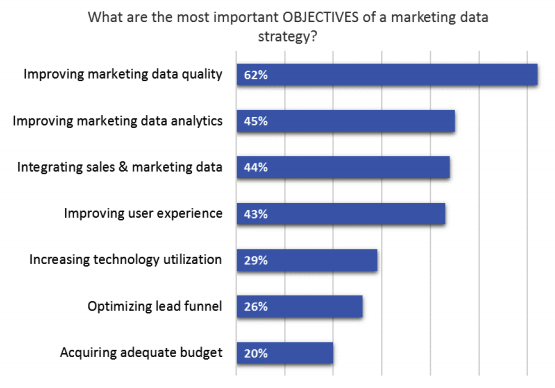 In a recent research report, Ascend2 asked marketing influencers “what are the most important objectives of a marketing data strategy?” Leading the way with 62% was improving marketing data quality. This result is encouraging because if you don’t have accurate data you could be making worse decisions than if you had no data at all. As well as reducing time spent entering basic data into the CRM. Integration removes the risk of human error. Many small businesses start out using a collection of open source tools for different activities, only to be forced to use a complex, error-prone and time-consuming strategy involving manually copying information from one system to another. There is absolutely no need to do this when there are integration solutions out there for most popular CRM, ERP and other tools. You also have the option of requesting bespoke integration to tie together your own internal systems. A single customer view brings together data from a range of disparate sales, marketing and customer service channels creating a single, accurate record for each customer. By integrating your CRM with your website, it supports the process of creating just one single customer view. Consumers today expect businesses to treat them as an individual and tailor their communications. In fact, a survey of 2,057 UK consumers “84% of customers said they would walk away if a company that doesn’t listen”. Wouldn’t it be great if your CRM could talk to your website and pull in all the lead data that your campaigns are creating? I’ve touched on it a few times already, but integrating your website with your CRM should help you improve your organisation’s sales. Essentially it comes down to one thing – increased volumes and more accurate data leads to better profiles, which leads to better-quality leads which in turn leads to higher sales conversion rates. Organisations spend a lot of time and money on their websites and marketing. By integrating your website with your CRM, it shortens the sales process, as potential leads are in the system immediately after the initial contact, and it gives your team better data to work, ultimately aiming to improve conversion rates. Each of these benefits is geared towards improving the effectiveness of your marketing and the bottom line of the business. With less time being spent on admin tasks, improving marketing outreach and improved sales performance. At Granite 5 we love helping our clients to integrate their websites. If you would like more advice feel free to contact Granite 5 on [email protected] or call us on 01223 208008.